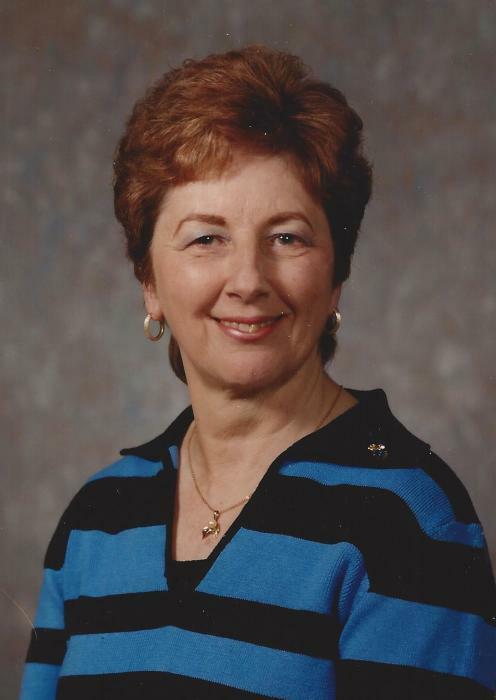 Obituary for Judy M. Koy | Peterson Kraemer Funeral Homes & Crematory Inc.
Judy M. (Nelson) Koy, 79, went to her Lord and Savior on Saturday March 30, 2019 surrounded by her family at her home, under the care of Aspirus Comfort Care and Hospice Services. She was born June 9, 1939, in Escanaba, Michigan, daughter of the late Larry and Sarah (Viau) Nelson. On October 30, 1971, she was united in marriage to Gary Koy at St. Catherine Catholic Church, Milwaukee. Judy worked for the F.W. Woolworth Co. in Escanaba for six years, then was promoted to their central accounting office in Milwaukee. It was here that she met and married her husband Gary. They moved to Wausau and in 1972 she started working for the Marathon County Clerk of Courts Office. She was promoted to Assistant Clerk of Courts, retiring in 2002. She had a lifelong love of flowers and after retiring became a Master Gardener. She traveled extensively visiting 47 states and four countries. She excelled at cooking, baking and canning from her vegetable garden. Survivors include her husband, Gary Koy, a son, Scott (Denise) Koy, Wausau, two grandchildren, River and Emmalee Koy who were the love of her life. She is further survived by her siblings, Mona Gardener, Bonnie (Roger) Pepin, & Ron Nelson, all of Escanaba, Jan (Vic) Perugini, Mukwonago, June (Tom) Kraus, Eaton Rapids, Mich., Daniel (Cindy) Nelson, Mooresville, North Carolina. Besides her parents, she was preceded in death by a brother, Gerald and a sister, Otella Pilon. The family would like to thank the staff at Aspirus Wausau Hospital and Cancer Center as well as the staff of Aspirus Hospice House for their concern and supportive care given to Judy.